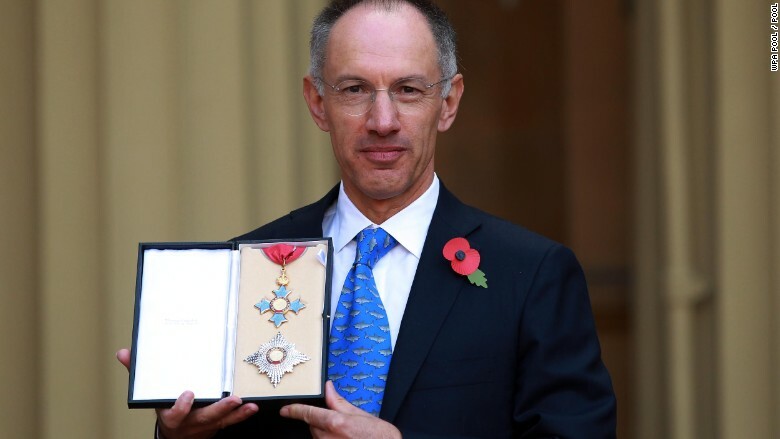 Sir Michael Moritz of Sequoia Capital, shown here receiving his Knighthood at Buckingham Palace in 2013, is donating $50 million to help low income students at the University of Chicago. Michael Moritz, who has credited his venture capital success to the kindness of strangers, is donating $50 million to benefit low income students at the University of Chicago. Moritz, chairman at Sequoia Capital, and his wife, Harriet Heyman, are funding a support program for "lower-income students with outstanding potential," the university announced. The university says this is part of a five-year, $350 million investment in its Odyssey Scholarship Program "for undergraduate students with the greatest economic need, many of whom are the first in their families to attend college." Moritz and Heyman are challenging the university to raise a matching $50 million. The Odyssey program eliminates the need for loans and work requirements for the students and also supports study abroad and career development through paid internships. The added funding could add hundreds of students to the program, the university said. Both of the philanthropists have invoked early-life experiences that clearly serve as motivation in helping hard-working students of modest means. Moritz immigrated from "bleak and miserable" Wales in the 1970s, became a journalist and author, and is now chairman at Sequoia in Menlo Park, Calif.
"I wouldn't be here today if not for the generosity of strangers," the investor on his company web site. Heyman attended public schools in the rough South Side of Chicago. The novelist said her middle class parents were able to send her to college, but "that is hardly the case for students from low-income families." But Moritz recently raised eyebrows when he told Bloomberg that his firm is "not prepared to lower our standards" to hire more women. His firm also plays a part in Silicon Valley legend that served as inspiration for "The Social Network." A young Mark Zuckerberg reportedly showed up late to a Sequoia meeting in his pajamas with an irreverent pitch on why they shouldn't invest in his Facebook (FB) spinoff Wirehog.